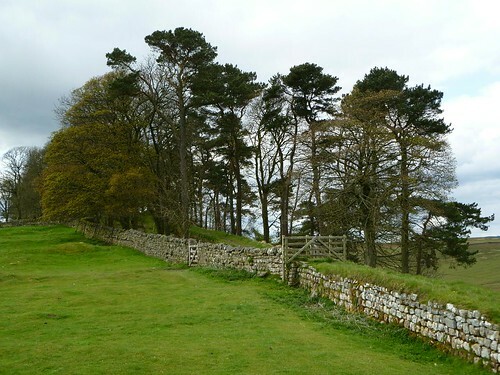 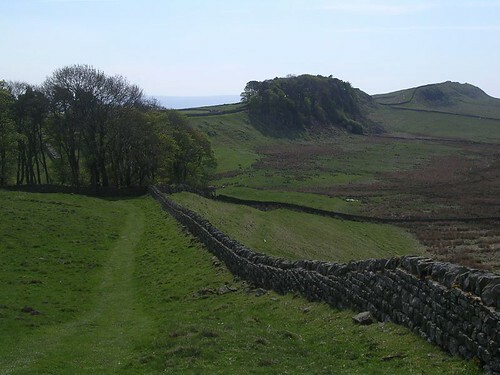 We cross the drystone wall, and head west up the old line of the Military Road (the modern road has to been ‘realigned’ to provide a safer, curving approach to the Portgate Roundabout). 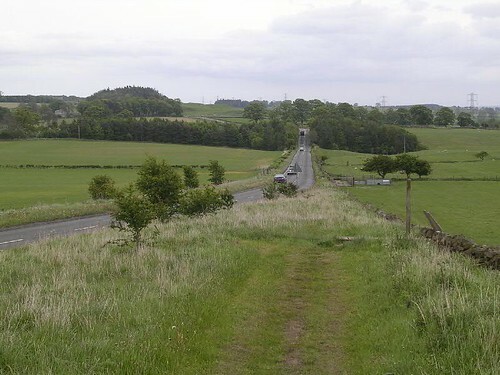 The Trail sneaks through the bushes and up the verge, but you may choose to experience walking the line of the curtain wall up this strangely disused stretch of road. 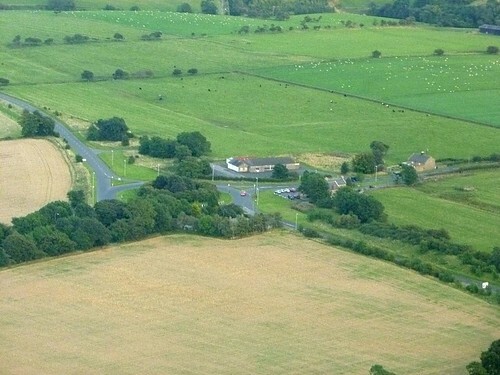 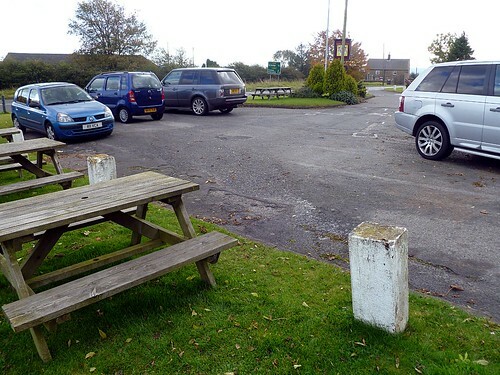 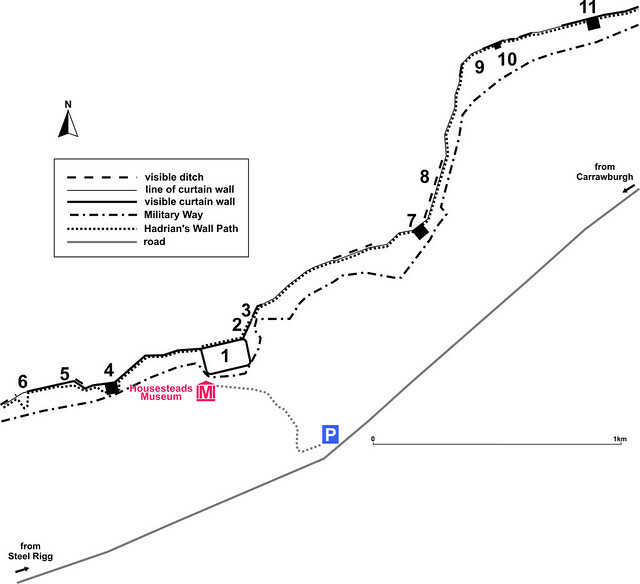 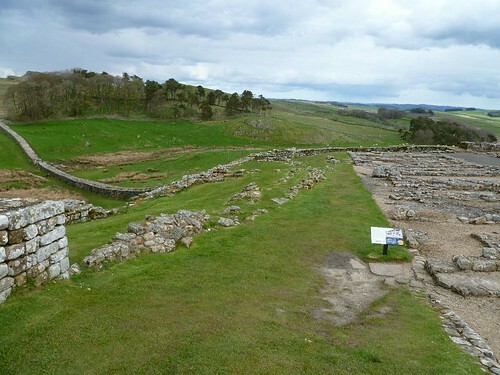 The Trail now crosses Dere Street (Margary 8, if you are inordinately fond of Roman roads), more prosaically these days known as the A68, where we must exercise extreme caution once more, as vehicles exit (and approach) the roundabout extremely quickly. 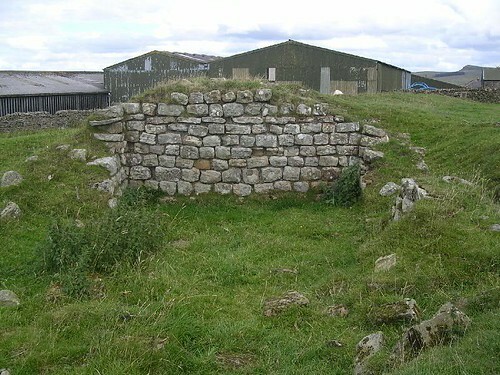 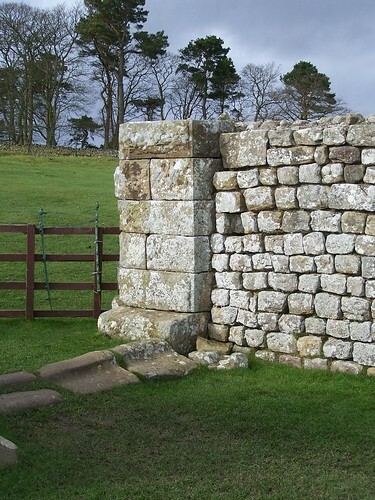 Dere Street passed through the Wall by means of a gateway. 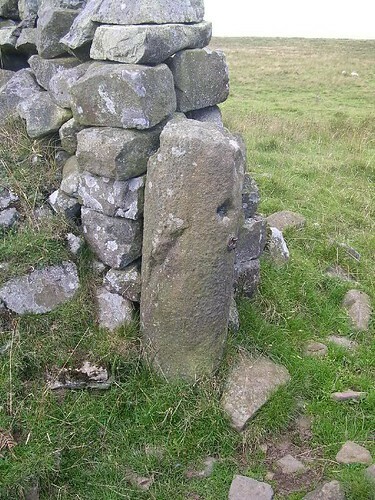 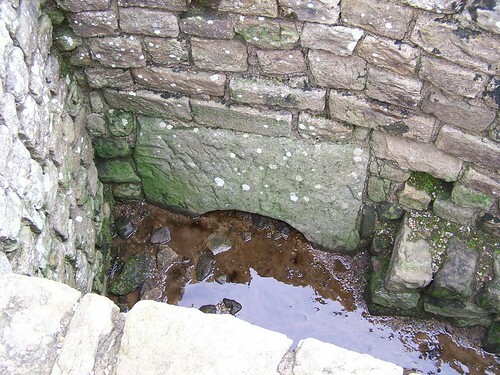 This tends to be known as the Port Gate, but in reality the name pre-dates the discovery of the gateway by several centuries, probably deriving from the fact that, in medieval times, the old Roman road was used to carry (‘port’) goods (especially livestock) along the road (‘gate’) to Stagshaw Fair, just to the south. 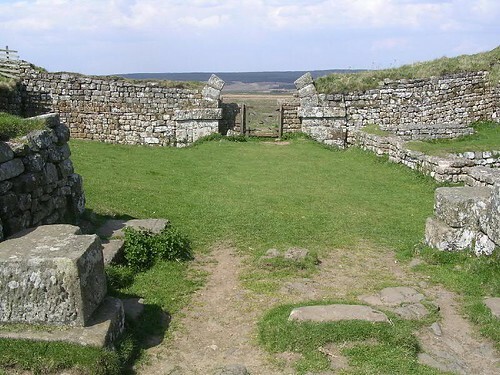 Gate is one of those words that occurs in both Norse (gata) and Anglo-Saxon (geat) and, having the same root, means ‘road’ or ‘street’ (as well as the more obvious ‘gate’): think Gateshead – which, pace Bede, has nothing to do with goats, but which was also on a (largely goat-free) Roman road (would you like to know that it was Margary 80? 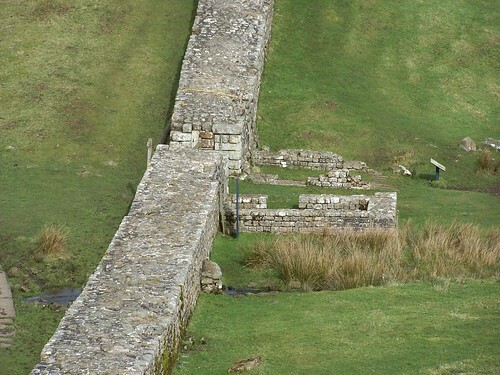 I thought not). 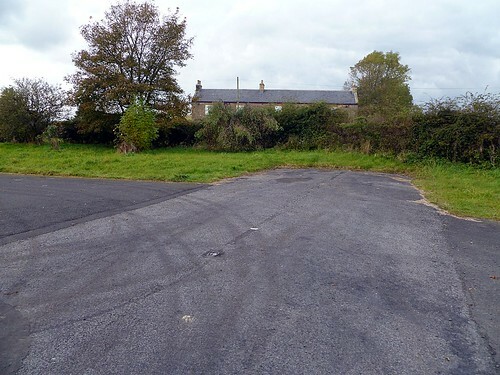 Excavation showed that this awkwardly named Port Gate gateway (which lies buried to the south-west of the roundabout, next to the pub), had projecting flanking towers. 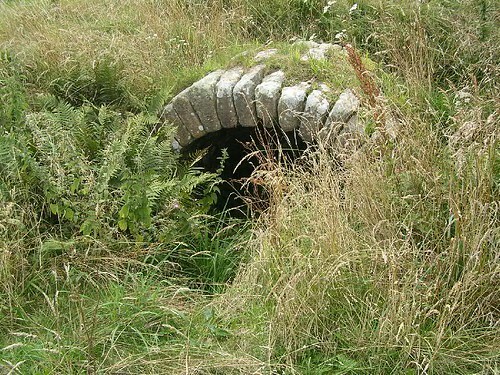 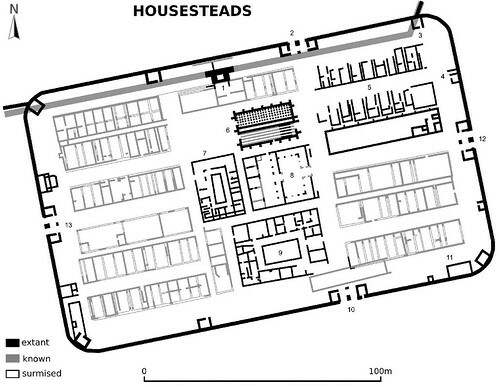 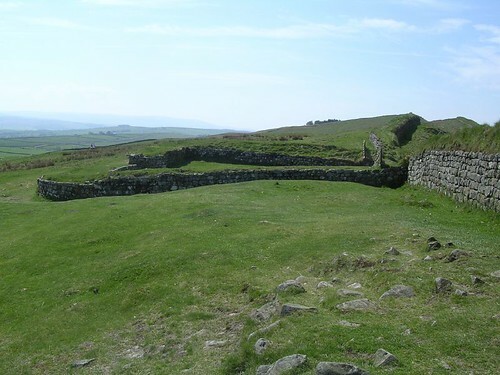 Horsley first saw it but thought it was an extra milecastle, but as we know, the real thing lay slightly to the east. 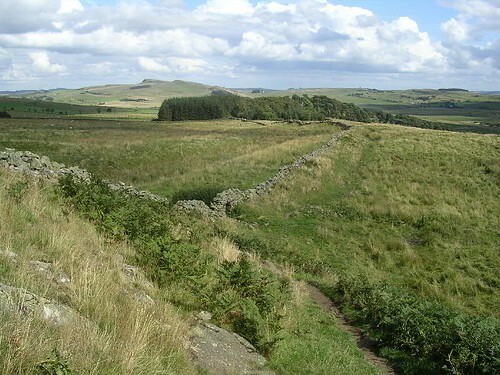 Passing to the south of the Errington Arms (unless, of course, we feel tempted to some refreshment, such as their magnificent Port Gate pie), we cross a wall by means of a ladder stile and discover a fine section of ridge and furrow cultivation to our right and the low earthwork of the Vallum to our left. 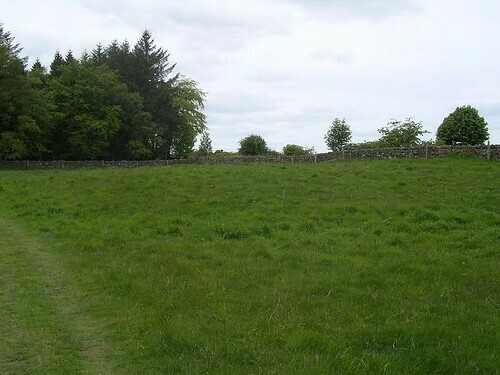 We continue in this fashion across a couple of fields, negotiate our way over a narrow lane (exercising caution) and enter another field. 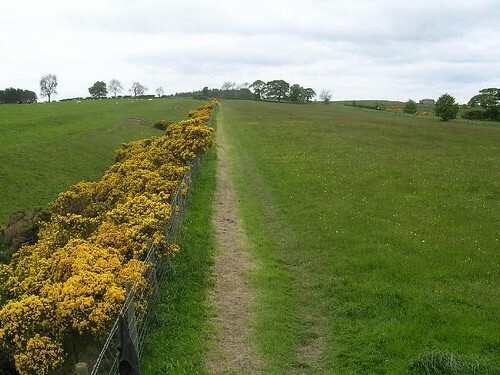 The Vallum is still on our left-hand side, but now decorated with a welcome burst of gorse. 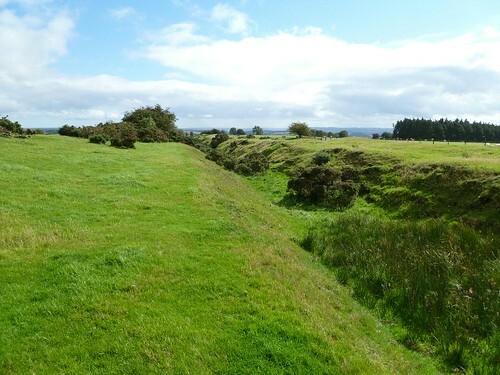 The line of the curtain wall remains off to our right, under the Military Road, and the ditch beyond that. 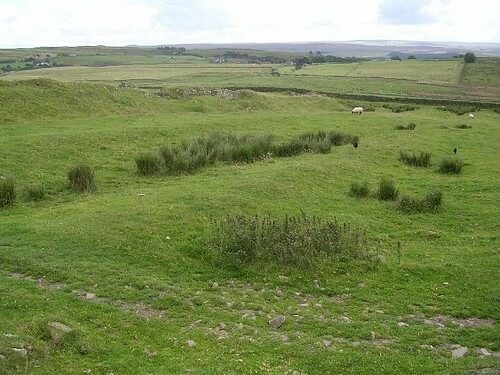 Before we reach Stanley Plantation, we encounter the earthworks that mark the location of Milecastle 23 to our right, tucked into the corner of the field. 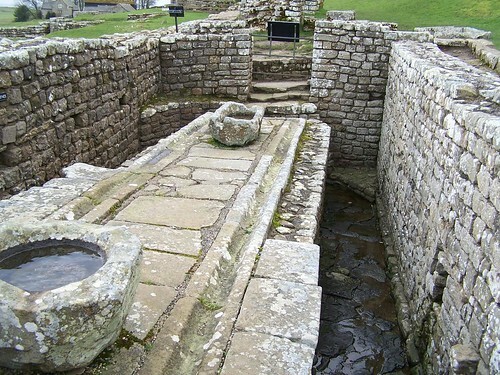 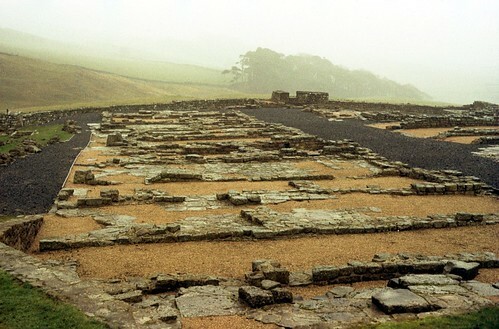 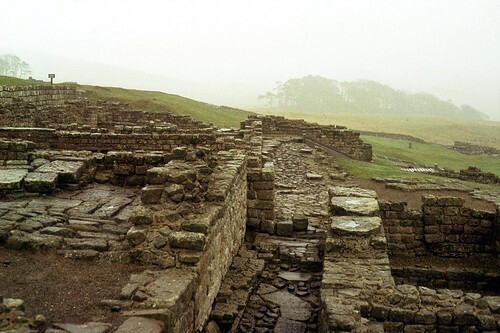 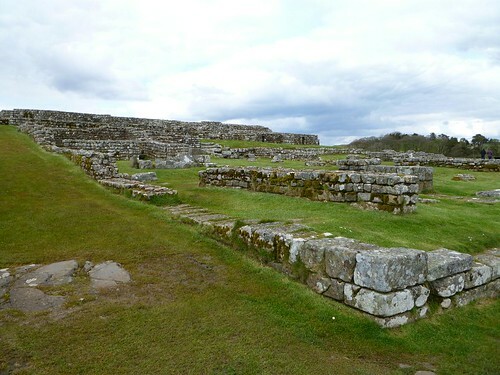 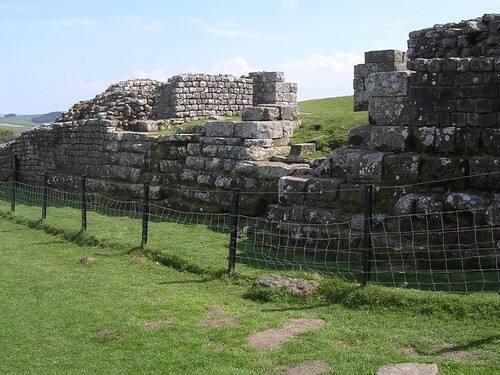 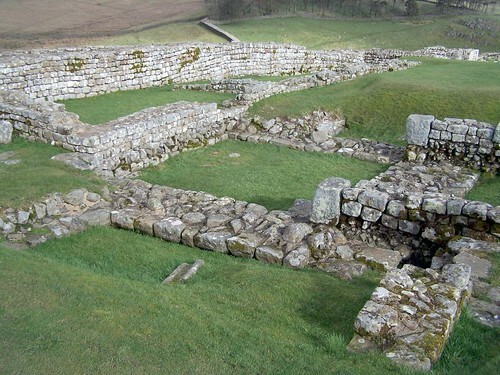 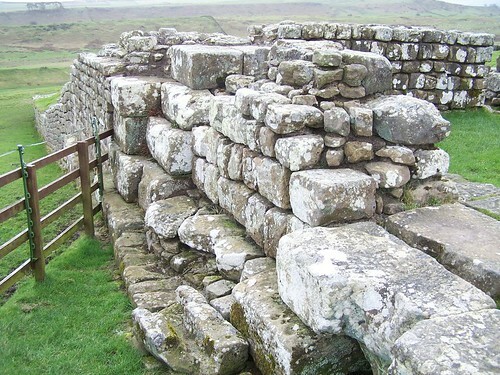 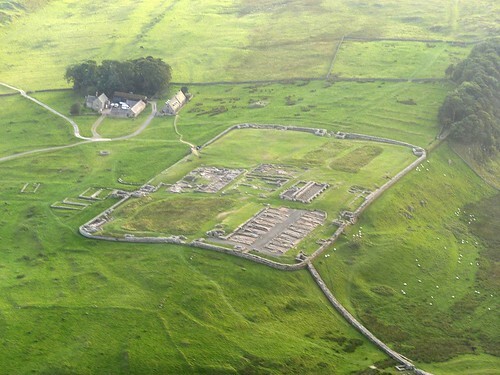 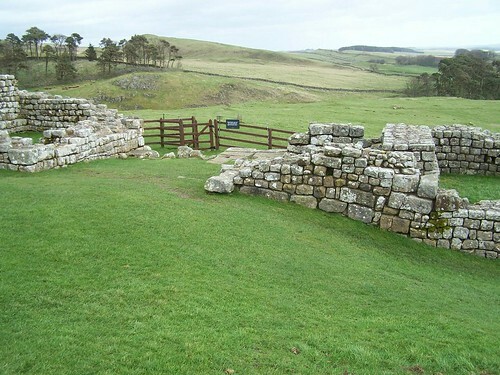 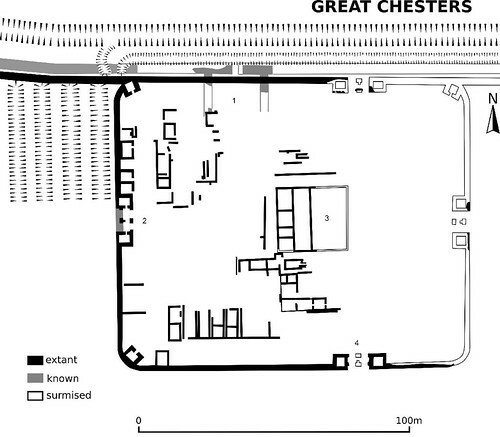 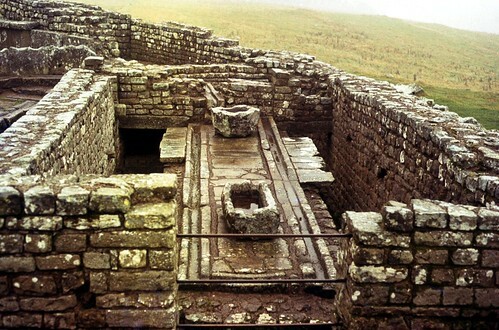 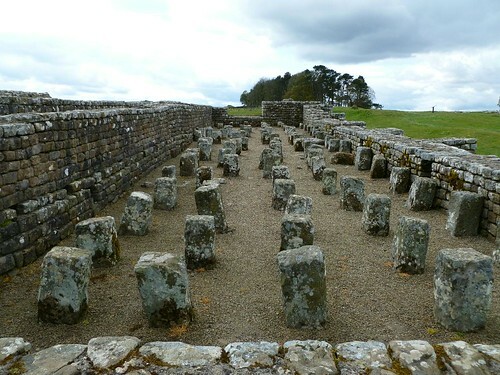 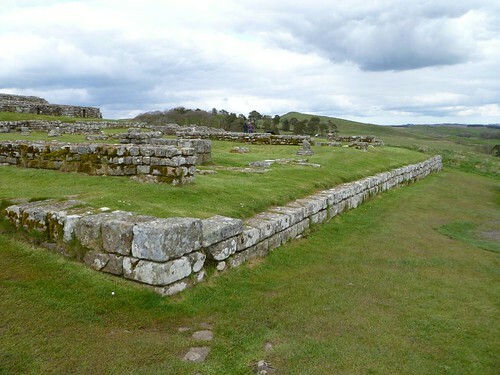 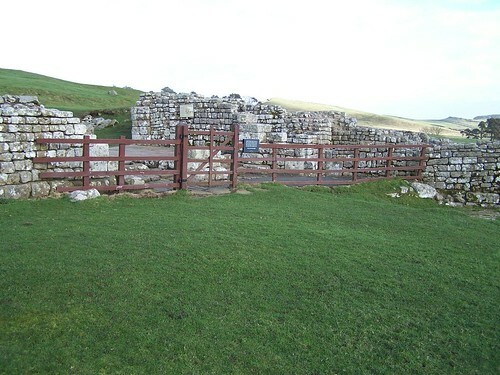 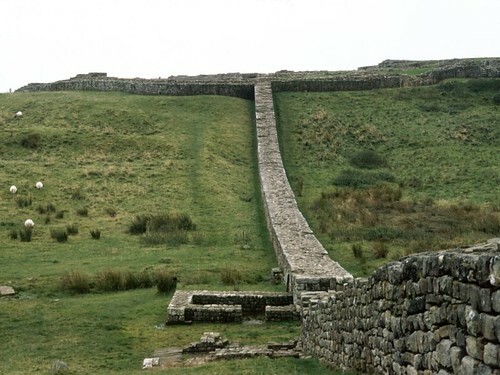 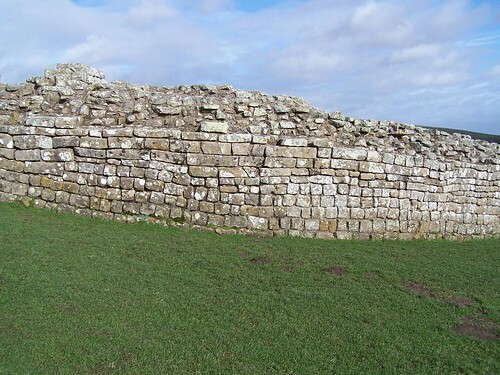 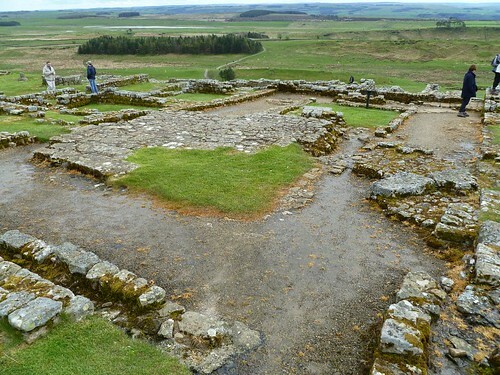 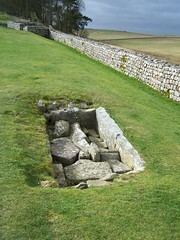 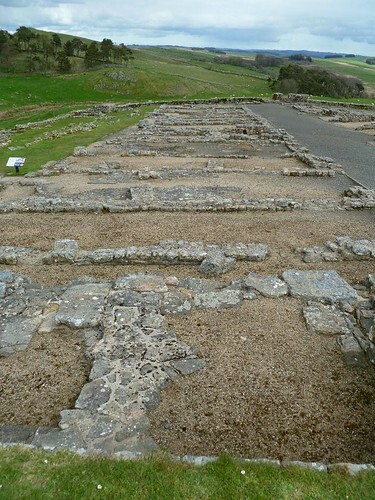 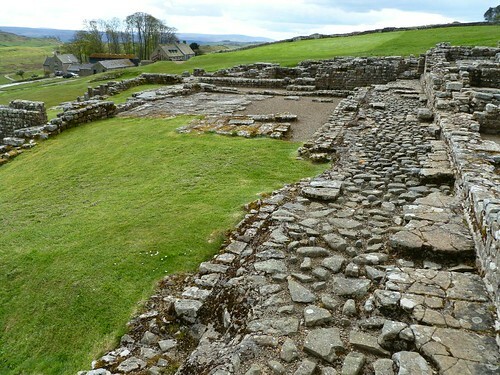 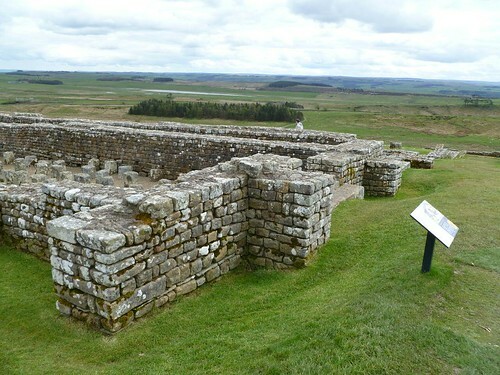 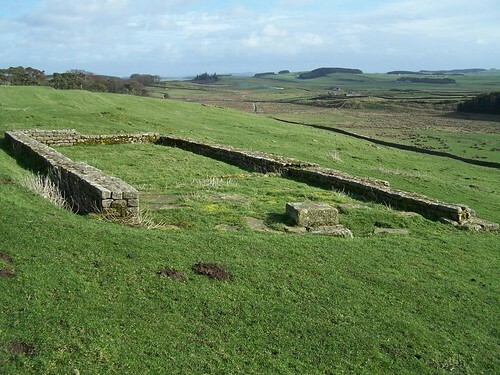 Another long-axis milecastle, this was – like its neighbour we just passed – examined in 1930.